The MONOCRANE Crane Service & Preventative Maintenance programme has been designed to provide reliability by minimising productivity downtime and maximising the life of your crane. It is our recommendation to carry out a routine service every 3-6 months in accordance with the Approved Code of Practice for Cranes in addition to the annual inspection certification requirement. This cycle time is designed to minimise breakdowns by identifying crane issues before they come to fruition causing unplanned downtime. 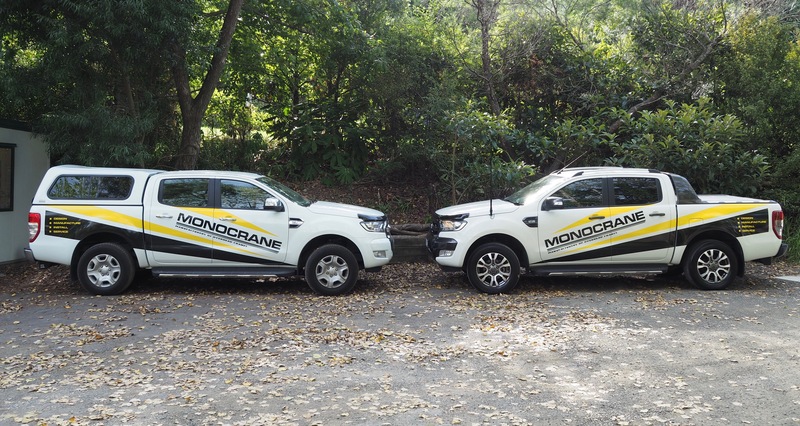 MONOCRANE provides customer priority to our National Service & Maintenance programme customers to ensure we can look after you and your business needs. We aim to provide you with the best customer service to accommodate your business needs by scheduling regular crane services at your convenience, not at ours. To assist customers with maintenance cost budgeting MONOCRANE will provide a service quotation with a fixed fee for 3 years. We carry an extensive range of spare parts & hoists for a range of crane products as MONOCRANE believe it is our job to keep your business operating. Our suppliers are carefully selected based on quality, industry experience and level of excellence. It is important to purchase parts which are specified by the crane manufacturer – a significant investment in research & development is made by our suppliers to ensure the most suitable component are selected for their application. Due to this investment the specified parts are proven to have a longer life on your crane. If there is a spare part or product you would like us to hold until the day you need it let us know and we would be happy to help! Year on year across all industries the complexity and cost of compliance appears to increase. Ensuring your business satisfies the relevant requirements is a cost of doing business today. Whilst the cost of compliance is a mandatory financial forecast in your annual plan, it is worth remembering that the cost of non compliance is significantly more. The Approved Code of Practice for Cranes (3rd edition 2009 states: All persons operating or working with a crane must hold applicable unit standards (3800) as a minimum qualification and preferably hold the relevant National Certificate in Crane operation. Overhead Gantry Crane Operators must be trained in order to prevent harm to personnel and damage to plant and equipment. The pending H&S Reform Bill places a particular duty of care on PCBU’s to comply with the best practices and guidelines. The gantry crane training offered by MONOCRANE 2010 Limited has been designed to provide the knowledge to inspect and operate overhead gantry cranes that are controlled by a remote handheld pendant. The Gantry Crane training is conducted using our customers crane within their own work environment in a 1 day (8 Hours) course. The NZ Crane Association has set a pre requisite requirement for each trainee to evidence they have achieved the Sling Regular Loads Safety 30072 prior to enrolly for this Unit Standard: 3800. On successful completion candidates will be able to demonstrate safe operation including: hazard control, lifting, lowering and attachment of loads using various slinging methods and each individual will be provided with an electronic certificate of competency and a competency ID card. Upon completion of the training course the 3800 unit standard requirement is satisfied. This course is valid 3 years and it is recommended for a refresher course to be attended to maintain the unit standard requirements.